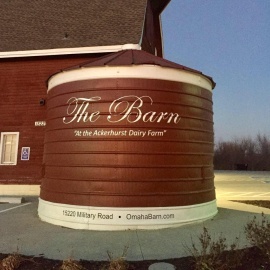 This Historic Dairy Farm located on the outskirts of Omaha has been renovated into a beautiful event venue. The barn is almost 200 feet long and the equivalent of 4 stories tall. There are two spaces being renovated, Phase 1: The Milking Parlor - is complete. Phase 2: The Haymow Room will be complete in early summer, 2017. Perfect for any event - Weddings & Receptions; Holiday Parties, Corporate Events, Fundraisers, Graduations; Birthday Parties; Retirement Parties; Celebration of Life Services. This space is where history is preserved and memories are made!